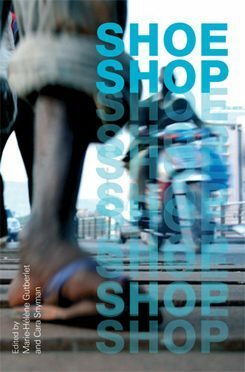 he Goethe-Institut supports the publication of books on selected projects, in cooperation with publishers. Below is an overview of previous publications. © Kerber Today, Europe and the world are increasingly looking to Africa—and they like to describe the future of the continent in extremes: as a gloomy, apocalyptic vision or a paradise of booming investment. But how do artists, cultural producers, and scientists view the future there? Do they offer alternative visions to widespread views? What kinds of science fiction do they pick up on? How do they relate to Afro-futurism, which arose in the American diaspora? These questions are at the core of African Futures, in which artists, scholars, and cultural producers present their positions on the future of literature, film, performance, the visual arts, music, and science. Edited by Lien Heidenreich and Sean O‘Toole. Contributions by by Achille Mbembe, Ntone Edjabe, Jean-Pierre Bekolo, Sherif Adel, Pamela Phatsumo Sunstrum, Raimi Gabdamosi, Tegan Bristow, Jonathan Dotse, Wanuri Kahiu, Thenjiwe Niki Nkosi, among others. © Palgrave Macmillan The Art of Public Space: Curating and Re-imagining the Ephemeral City takes as case study a trilogy of art interventions, New Imaginaries (2012), which explored notions of public space in Johannesburg, and reflects upon its broader implications in a research partnership between African Centre for Cities and Goethe-Institut South Africa. 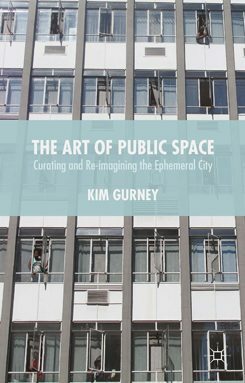 "Kim Gurney's The Art of Public Space powerfully reiterates the ways in which urban actors do not inhabit worlds of preconceived social or subjective forms, but rather ever-shifting milieus where different ways of conceiving and enacting life intersect, and that artistic practice is a critical technology in re-imagining and reshaping these intersections. All technical practices conduct events, but artistic work is proving most salient in opening up urban contexts to events that anticipate and posit new ways of living together. Leveraging the multiplicity of performances that make up everyday Johannesburg, the artistic projects offered here attempt to reconfigure what its residents already see and experience but in ways that push it somewhere else, which collate and intensify these perceptions and experiences into new common grounds." 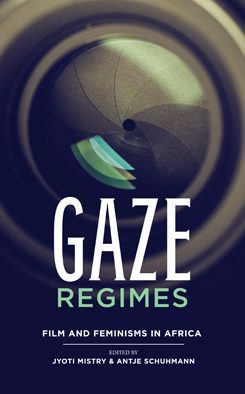 © Wits University Press Gaze Regimes is a bricolage of essays and interviews showcasing the experiences of women working in film, either directly as practitioners or in other areas such as curators, festival programme directors or fundraisers. It does not shy away from questioning the relations of power in the practice of filmmaking and the power invested in the gaze itself. Who is looking and who is being looked at, who is telling women’s stories in Africa and what governs the mechanics of making those films on the continent? The interviews with film practitioners such as Tsitsi Dangarembga, Taghreed Elsanhouri, Jihan El-Tahri, Anita Khanna, Isabel Noronhe, Arya Lalloo and Shannon Walsh demonstrate the contradictory points of departure of women in film – from their understanding of feminisms in relation to lived-experiences and the realpolitik of women working as cultural practitioners. The disciplines of gender studies, postcolonial theory, and film theory provide the framework for the book’s essays. Jyoti Mistry, Antje Schuhmann, Nobunye Levin, Dorothee Wenner and Christina von Braun are some of the contributors who provide valuable context, analysis and insight into, among other things, the politics of representation, the role of film festivals and the collective and individual experiences of trauma and marginality which contribute to the layered and complex filmic responses of Africa’s film practitioners. Max Annas is an author, journalist, film curator and filmmaker currently the SARChI Chair in Social Change at the University of Fort Hare in East London, South Africa. Tsitsi Dangarembga is a writer, filmmaker, teacher and cultural activist. She lives in Harare, Zimbabwe where she directs the Institute of Creative Arts for Progress in Africa Trust. Beti Ellerson is founder and director of the Centre for the Study and Research of African Women in Cinema. Taghreed Elsanhouri based in Britain, is a Sudanese-born documentary filmmaker. Jihan El-Tahri is an author and documentary filmmaker. She lives in France. Henriette Gunkel is a lecturer in the department of Visual Cultures at Goldsmiths, University of London. Katarina Hedrén is a freelance writer and the co-programmer of the Johannesburg-based First Wednesday Film Club. Ines Kappert works as the editor of the opinion section in the taz, a Germany-wide newspaper. Rumbi Katedza is a writer and filmmaker. She lives in Zimbabwe. Anita Khanna was born in India and studied in Great Britain. She is a producer and writer as well as the director of the Tri Continental Film Festival. Arya Lalloo is an independent filmmaker based in Johannesburg. Nobunye Levin is a filmmaker and lecturer in the Film and Television division in the School of Arts at the University of the Witwatersrand, Johannesburg. Jyoti Mistry is a filmmaker and associate professor at the University of the Witwatersrand, Johannesburg, in the School of Arts. Isabel Noronha is a Mozambican documentary filmmaker. Antje Schuhmann works as senior lecturer in the Political Studies department and the Centre for Diversity Studies at the University of the Witwatersrand, Johannesburg. Christina von Braun is a film maker, professor emeritus of cultural theory and representative of The Center for Jewish Studies Berlin-Brandenburg. Katharina von Ruckteschell is the director of the Sao Paulo Goethe-Institut and regional director for South America and former director of sub-Saharan Africa. Djo Tunda wa Munga runs his own film production company, Suka Productions! in the Democratic Republic of Congo. Shannon Walsh is a filmmaker and assistant professor at the School of Creative Media, City University of Hong Kong. © Contact Zones Creating Spaces: Non-formal Art/s Education and Vocational Training for Artists in Africa between Cultural Policies and Cultural Funding. The field of non-formal art /s education and vocational training for artists in Africa leads a shadowy existence. Although embracing the vital interface of education/art /culture, related approaches and projects frequently fail to meet the prevalent funding frames. However, African actors have long been autonomously contouring and shaping the interstitial space of non-formality with their ideas, concepts, and practice. With education forming a key focus for the Goethe-Institut, in addition to organizing further training for teachers of German as a foreign language, the Institut is becoming increasingly active in art/s education. The study is thus primarily rooted in the need to develop a systematic approach towards determining creative and artistic processes on the African continent and defining existing local structures to support and encourage them. The study was not intended to be a “classical” mapping of non-formal vocational training structures in art/s education in Africa, something that would in any case not be possible. Instead, by being based on specific representative case studies, it is intended to tackle the not-so-simple task of setting out the interests, visions, and approaches found within the contexts in which local actors operate. What concrete form does the work of those actors of non-formal spaces take? What basic conditions are they subject to? Which formative effects are caused by current cultural and funding policies? Who creates which spaces and how do the different stakes in art/s education shape its practice? These and other questions are elaborated with special reference to five actors in South Africa, Senegal, Democratic Republic of Congo, and Ethiopia in the study “Creating Spaces”, commissioned by the Goethe-Institut and conducted by the Institute for Art Education at the Zurich University of the Arts under Carmen Mörsch, authored by Nicola Laure al-Samarai together with Fouad Asfour and Judith Reker as well as guest authors Rangoato Hlasane and Malose Malahlela. The book was reviewed by Annette Schemmel of Freie Universität Berlin. Read the review here. Annette Schemmel: [Review of:] Nicola Lauré al-Samarai: Creating Spaces. 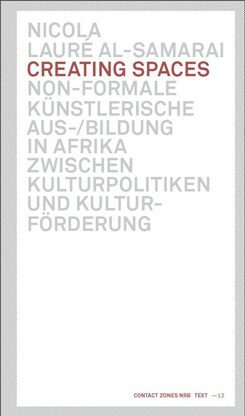 Non-formal Art/s Education and Vocational Training for Artists in Africa Between Cultural Policies and Cultural Funding, Nairobi 2014.
in English, German and French. Adobe ebook reader is required to open the ebook. You can download it here for free. © Kerber Verlag What are the significant conversations in African photography today? This alternative art guide book shows current developments and tendencies – a contemporary manual with a sense of humour that speaks to both young and professional photographers, collectors and people interested in photography. 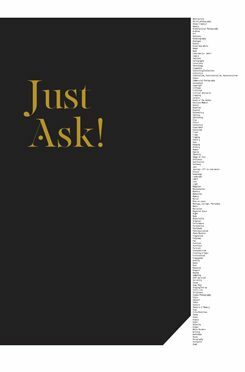 Just Ask! is meant to be an introduction to contemporary African photography, and more broadly, a reflection of contemporary practice. There is also a focus on some of the African photographers that participated in the Goethe-Institut Johanneburg’s portfolio workshop, the Photographers Master Class, which has been running since 2008. The richly illustrated publication is accompanied by essays by renowned authors, curators and art critics. The Goethe-Institut was proud to launch this publication at the Joburg Art Fair in August 2014 with a panel discussion that features some of the contributors to the book and participants in the Master Class programme. © Steidl Verlag South African photographer Mikhael Subotzky and British artist Patrick Waterhouse combine photography, historical archives, found objects, and interviews to create a body of work that spans the pre-history of the building, its spectacular decline, and the recent attempts at its transformation. The building is cast as the central character in a tangled narrative about Johannesburg’s magnetic pull on people from all over the continent. The work has culminated in the production of a book, of which the Goethe-Institut has been a proud supporter and is pleased to be involved in its launch at the 2014 Joburg Art Fair. 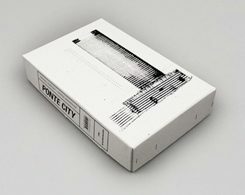 The book will be launched with an installation of some of the works at Ponte City itself and with a panel discussion and book-signing taking place at Joburg Art Fair. 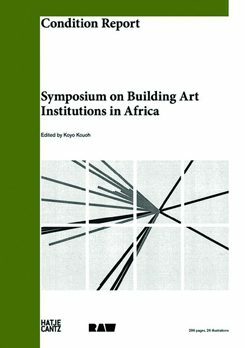 © Condition Report Condition Report: Symposium on Building Art Institutions in Africa is a collection of essays resulting from of the symposium held in Dakar in 2012. They address the changing role of art institutions and initiatives in Africa, where the cultural and artistic context is characterized by a predominance of government led art programs and infrastructure. The last decade has witnessed the emergence of a variety of independent art spaces using a wide range of formats to promote art and critical exchange. These initiatives draw a new cartography of artistic action in Africa. This reader looks at the structural and programmatic issues at play within those institutions. Models and profiles of art institutions developed in other regions of the world are also examined. The publication also discusses how former colonial powers define and implement their strategies of cultural representation and exchange in post-colonial areas, and how these in turn influence local dynamics of cultural action. Edited by Koyo Kouoh and funded by the German Federal Cultural Foundation and the Goethe-Institut. Published in English and French. 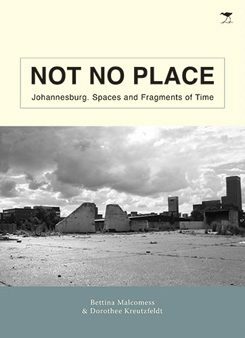 © jacana Not No Place interweaves selected quotations with personal memories and reflective accounts, as well as fiction in an attempt to explore the city as both lived place and an imagined no-place. A montage combining photographs, drawings, archival material and texts, it alternates between the mode of collector, witness, observer and author, taking into account the numerous representations of the city in historical writing, urban theory, film, media and fiction.Not No Place presents a collection of moments in the city’s complex history, its contemporary spatial realities as well as its future projections. 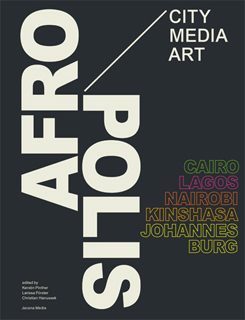 © Afropolis More than half of the world‘s population lives in cities. Countries of the South in particular are facing fast-paced globalisation, with the highest rates of urbanisation taking place in African cities. Beyond Western models of urban development, African cities are creating their own urban structures, topography and cultures.How do artists think about and represent urban life in Africa?Edited by Larissa Förster, Christian Hanussek and Kerstin Pinther.Published by Jacana Media in association with the Goethe-Institut South Africa. In many African countries, a multitude of institutions and publishers are involved in promoting and strengthening a culture of reading and literature, high quality production of and improved distribution networks for books. However, there is often little or no contact or cooperation between these entities on a national level, let alone on an international level. In order to identify and facilitate potential synergies in, the Goethe-Institut and Frankfurter Buchmesse commissioned a study on the publishing industry in eight sub-Saharan African countries, namely Cameroon, Ghana, Kenya, Mozambique, Nigeria, Senegal, Tanzania und Uganda. 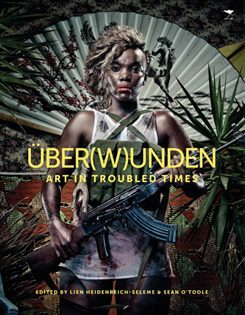 © über(w)unden: Art in Troubled Times The book comprises a selection of material generated at a conference hosted by the Goethe-Institut in 2011. The title "über(W)unden" has a double meaning in German. As a noun, über Wunden means “about wounds”, whereas, as a verb, überwunden translates as “to overcome” or “to heal”. Artistic work dealing with traumatic experiences may produce both these effects: they may directly engage with the wounds of conflict and trauma, but they may also underline societal changes and upheavals as catalysts for new beginnings. 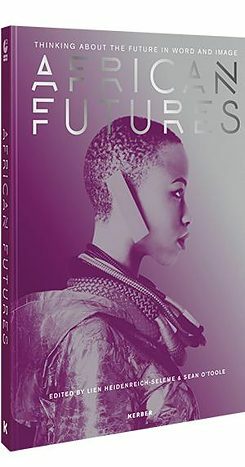 The publication includes contributions by William Kentridge, Zanele Muholi, Kudzanai Chiurai, Antjie Krog, Faustin Linyekula, Emmanuel Jal, Djo Munga, Marcel Odenbach, Dierk Schmidt, and others. © Shoe Shop Shoe Shop is an urban art- and walking festival and part of New Imaginaries, the Goethe-Institut’s series of festivals which engage with public space in Johannesburg by artistic means.The book has been shaped to create a space for transformation and fluidity, for care, and for the sole pleasure of movement. It is a site for loitering, waiting, but also for doubt and reserving a space to enquire. Artists featured include Doung Anwar Jahangeer, Penny Siopis, Jürgen Schadeberg, George Osodi, Jyoti Mistry, Ismail Farouk, Emmanuel Bakary Daou, Serge Alain Nitegeka, Kemang wa Lehulere, Musa Nxumalo, Fatoumata Diabaté. The information gap between people in developed countries and those living in the rest of the world seems to widen. Libraries provide access to information, knowledge and education and thus support civic participation and democratic development. Nonetheless, libraries are rarely considered a priority on the political agenda of many African countries. Libraries as Gateways to Information and Democracy – a series of workshops held in Ghana, Kenya, Namibia, Nigeria, South Africa and Togo – aimed at developing effective and sustainable strategies for networking, advocacy and lobbying for libraries throughout sub-Saharan Africa. Workshop results were compiled in both print and CD format. Many of these artistic voices are critical, sometimes in an overt, sometimes in a subtle way, sometimes humorous, sometimes standing as an indictment. Some of the works may raise awareness and some may simply be poetic statements. The Goethe-Institut and the Heinrich-Böll Foundation have partnered to commission "DON’T/PANIC" as a contribution to the UN climate summit 2011 in Durban by adding a unique African artistic perspective to the discussion. This volume presents views of some of South Africa’s most prominent artists, writers, choreographers, photographers and musicians. With their different forms of expression they give insight into the pressing issues of South African society, showing how political art is positioned in the post-apartheid era. What happened in 1980 and 1981? Each month one volume was published, each with a distinct timeline of the events of 1980 and 1981, with images, interviews and memories. 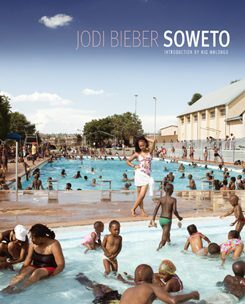 © Soweto Sowetans have created Soweto anew - a phenomenon that is celebrated in this photographic publication which contemplates daily lived realities, where here, as elsewhere, South Africans are continually reinventing themselves and their urban space.